Sliding doors allow 100% access without doors being swung open. Shelves adjustable in 20mm increments. Lockable doors, supplied with 2 keys from a mastered series. 2 shelves with a capacity of 45kg uniform distributed load. 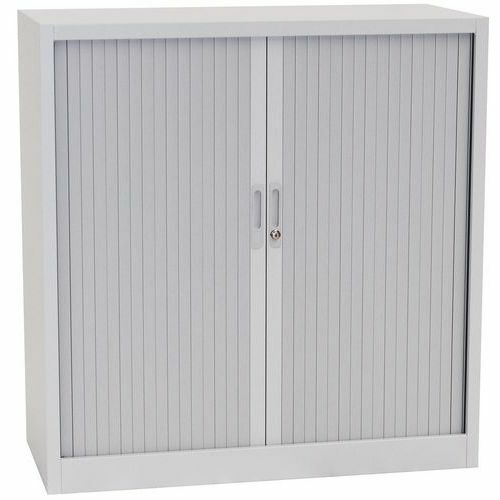 Steel cupboards with PVC sliding doors, providing a smooth and quiet movement.